If you’re like me, no matter how well you clean and scrub down those shower walls, somehow you still get the occasional mold or mildew stain in the corners or on grout lines. These are often too tough of a match for even store-bought bleach pens. When searching for a solution, I came across numerous related house cleaning tips. After a series of trial and error, I finally found a winner. A word of caution to those who use this method- this was for some serious cleaning! Be sure the room is well-ventilated during the process and that children or pets will not be in the room until the cleaning is complete. As mentioned above, be sure the room will not be in use during this process as bleach fumes are strong. This simple technique will convert those dingy shower corner areas and grout lines to sparkling again within a mere several hours. 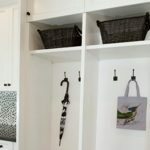 For additional cleaning tips or ideas, visit http://greatercincinnatimaids.com/blog/ or contact us.